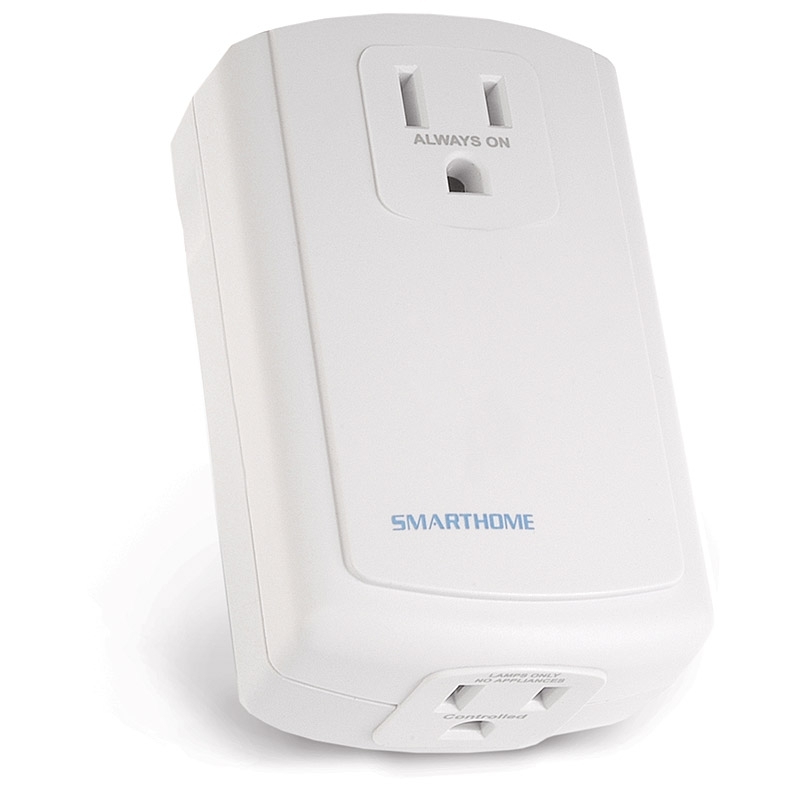 Plug-in dimmer has advanced features: adjustable ramp rate that slowly brings the lamp on, a preset dim level that stores your preferred choice of 32 brightness levels, local control, so you can still use the lamp’s built-in switch. Made to plug into any wall outlet. Can control incandescent loads up to 300 watts.